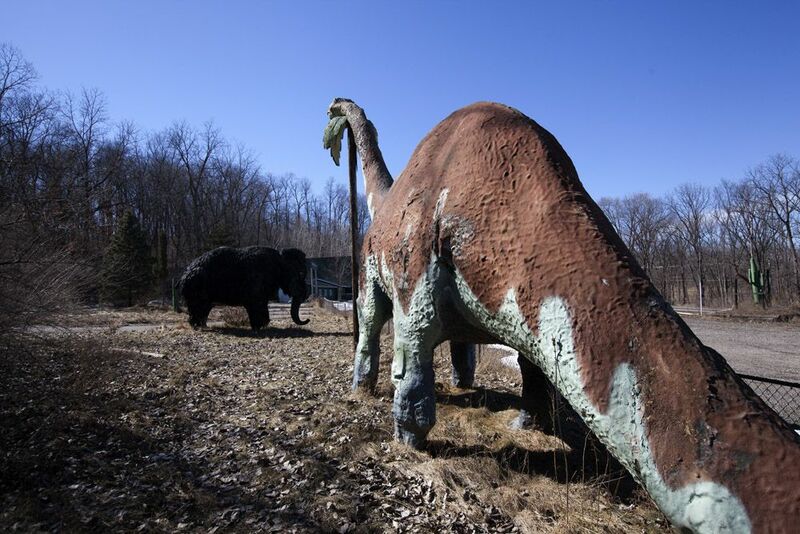 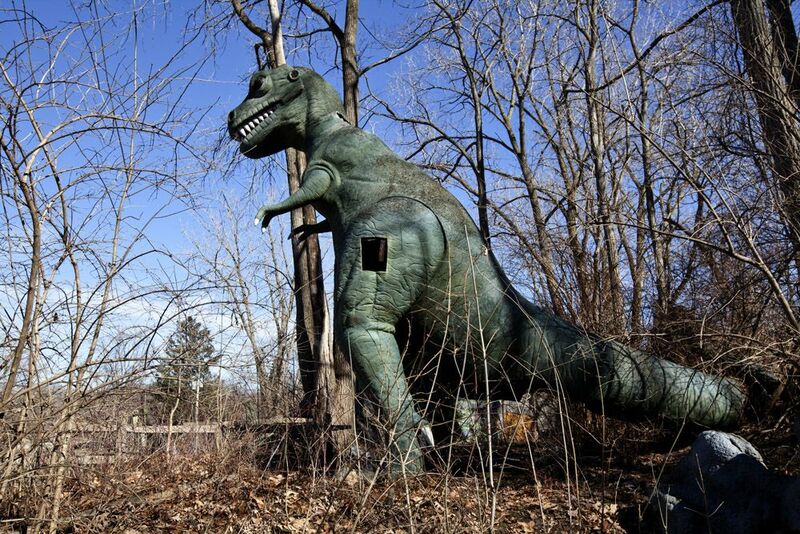 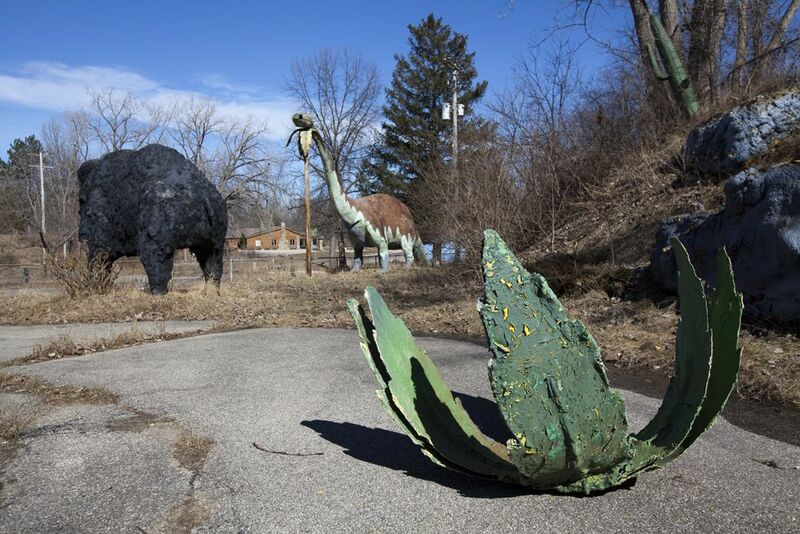 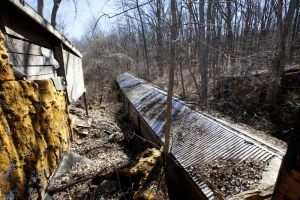 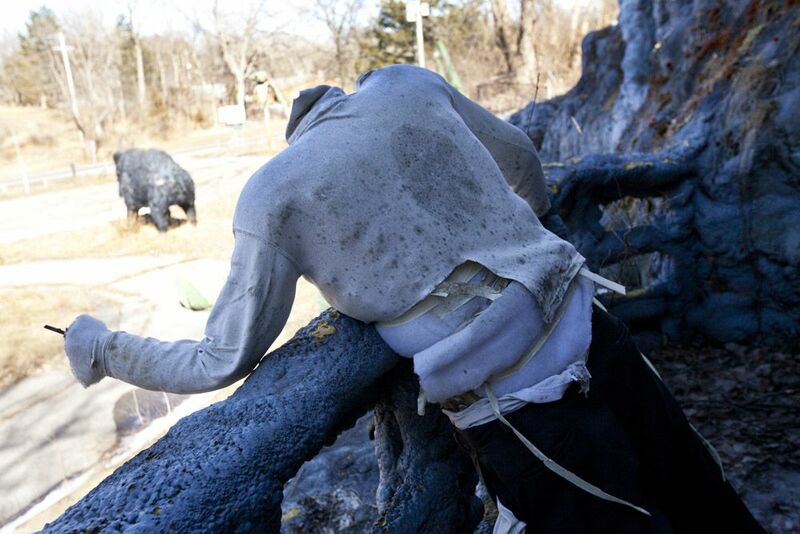 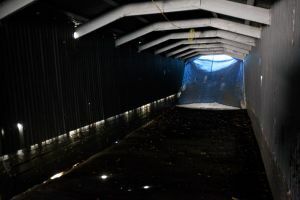 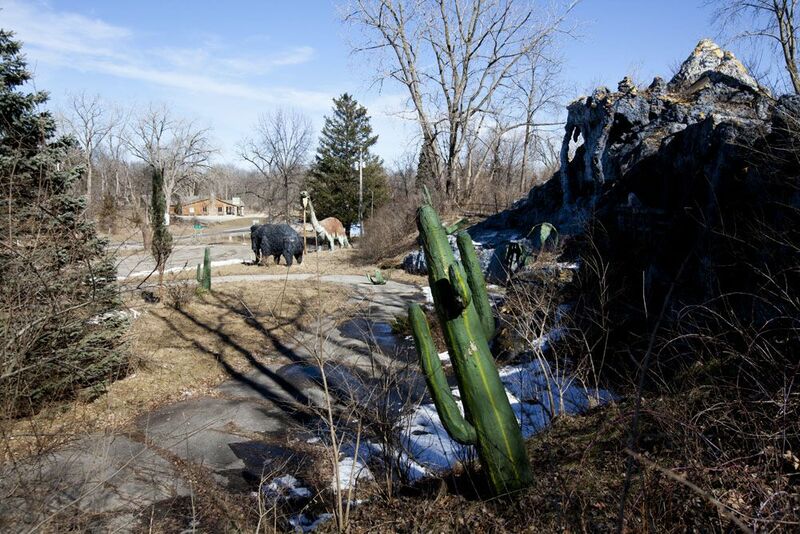 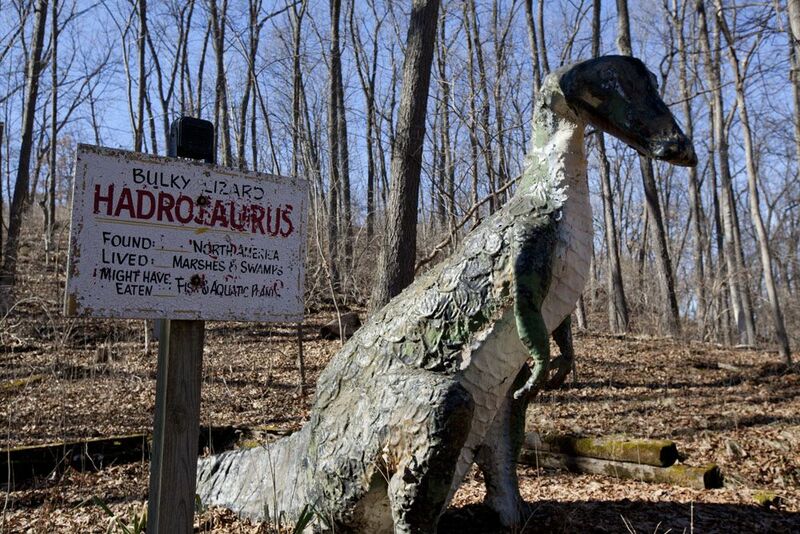 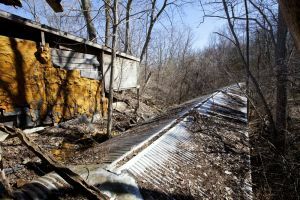 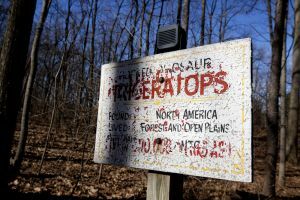 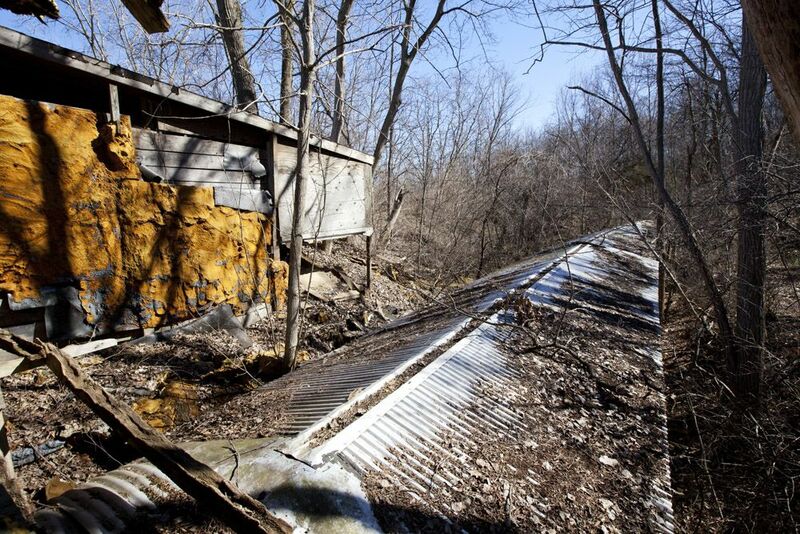 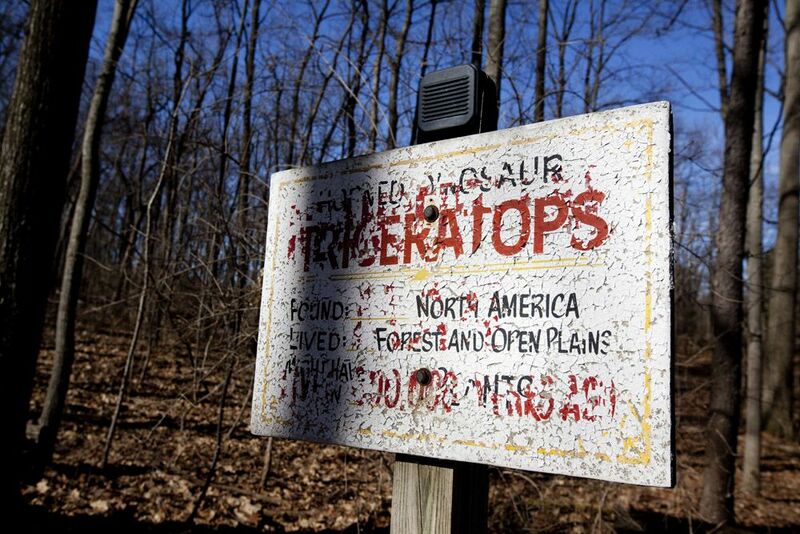 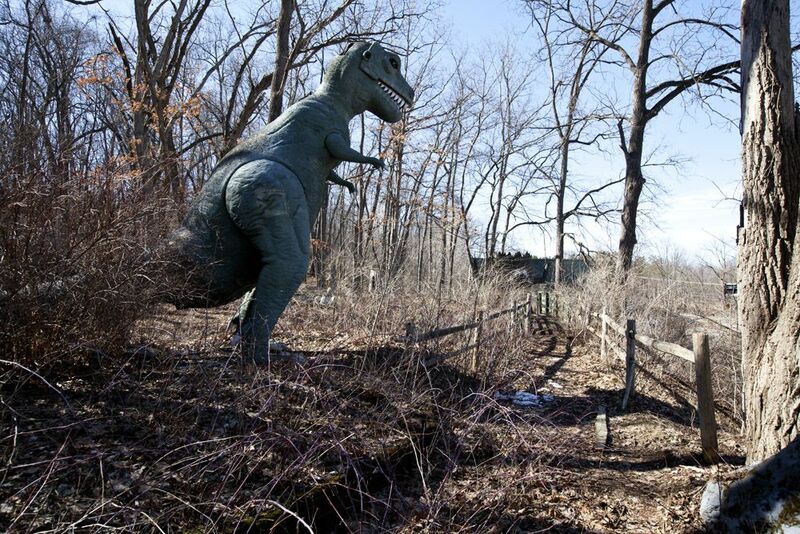 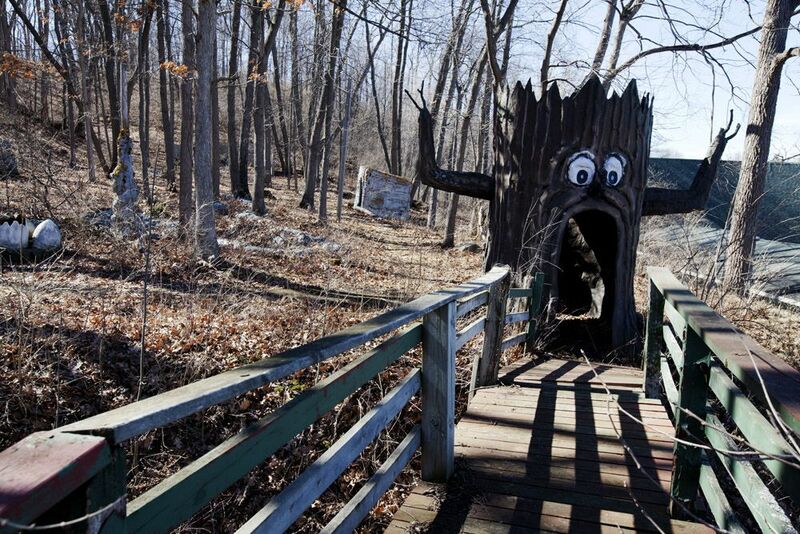 Closed in 1999, this Michigan tourist attraction opened for business in 1963. 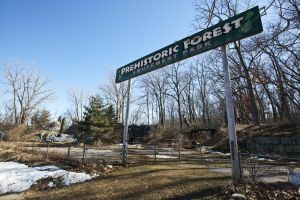 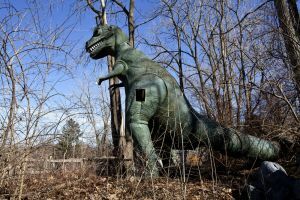 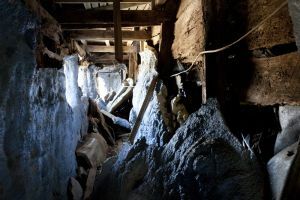 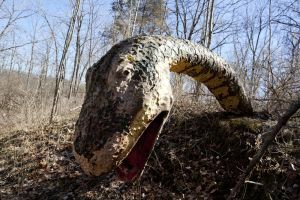 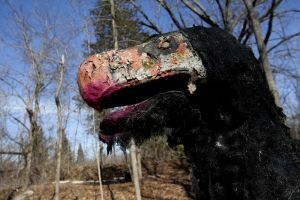 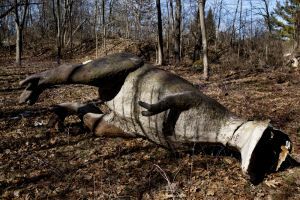 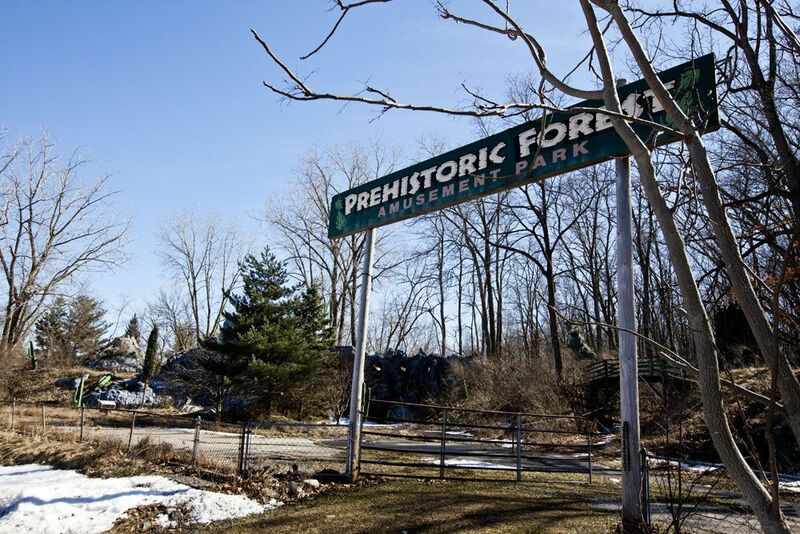 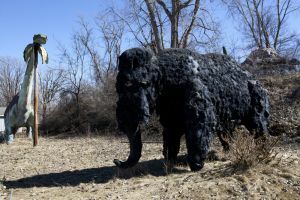 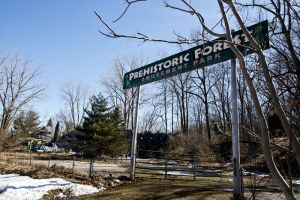 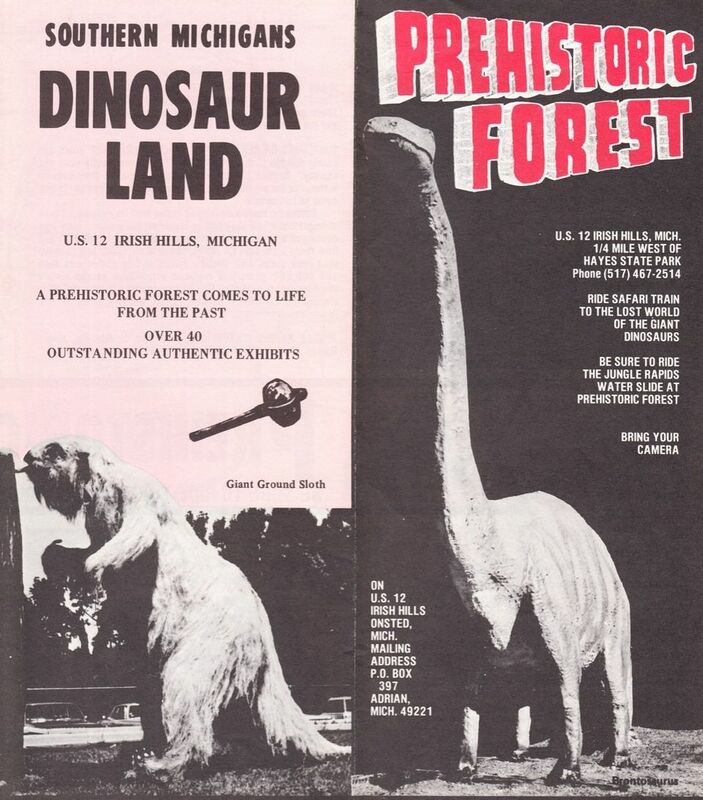 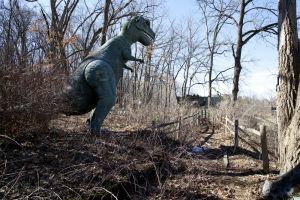 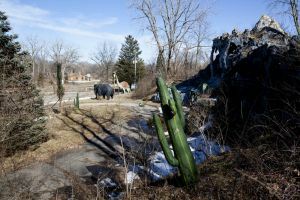 In it’s hay-day, The Prehistoric Forest, an 8-acre park nestled in Irish Hills, boasted a waterfall, volcano, and water-slide. 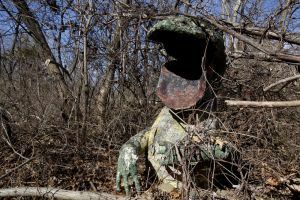 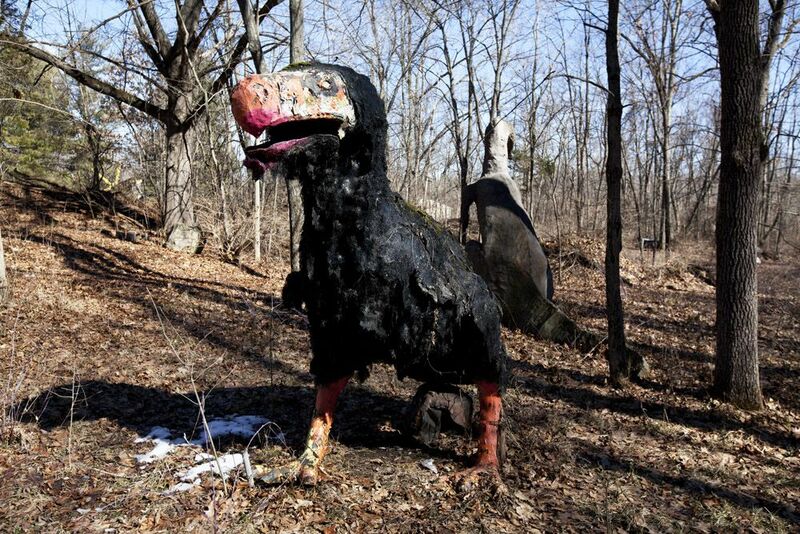 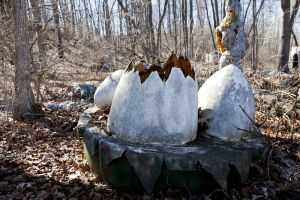 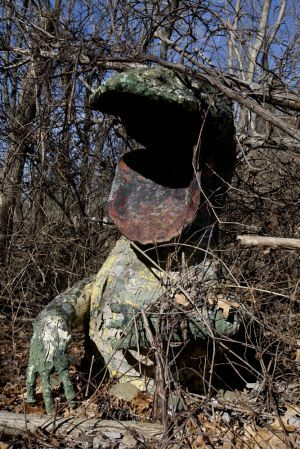 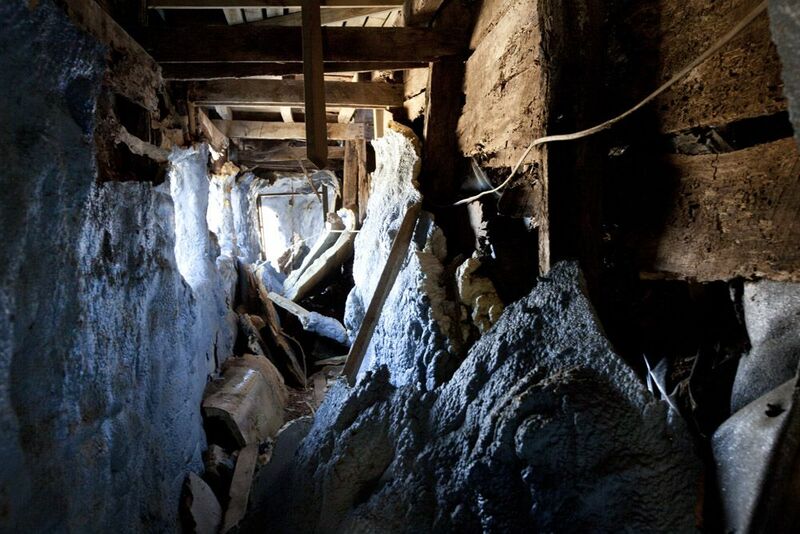 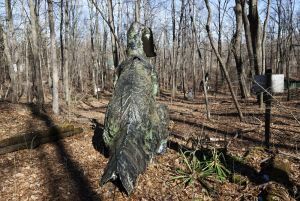 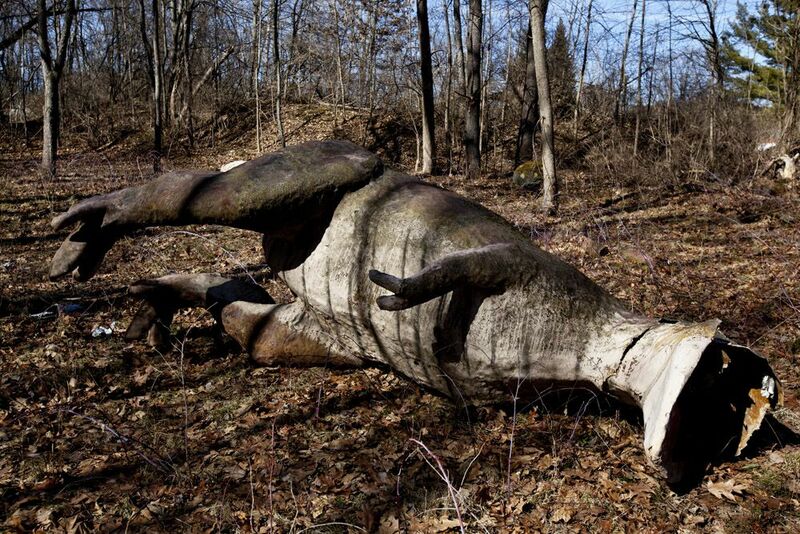 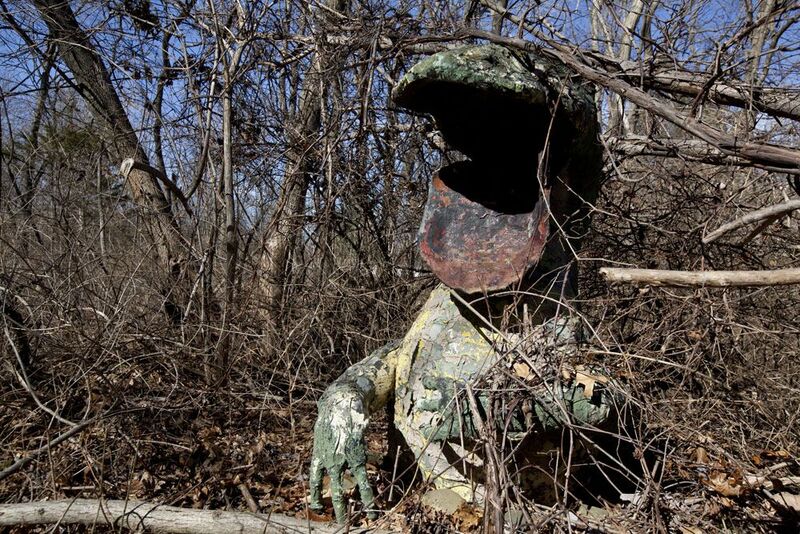 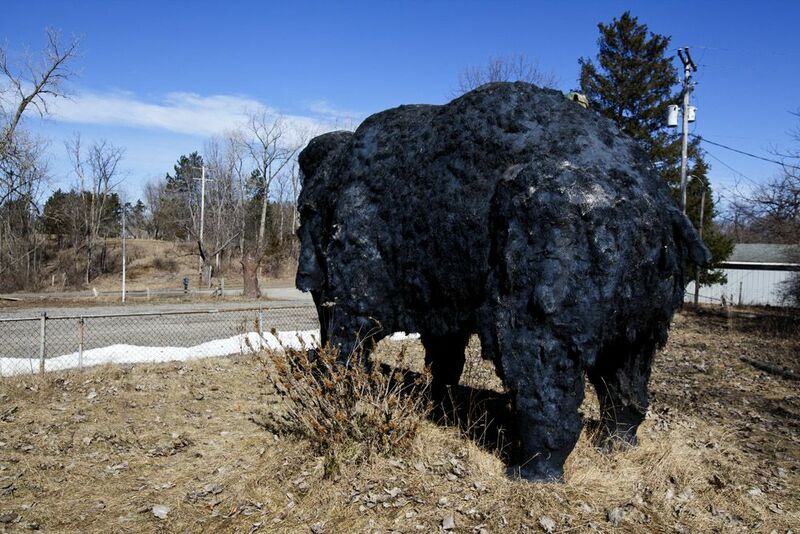 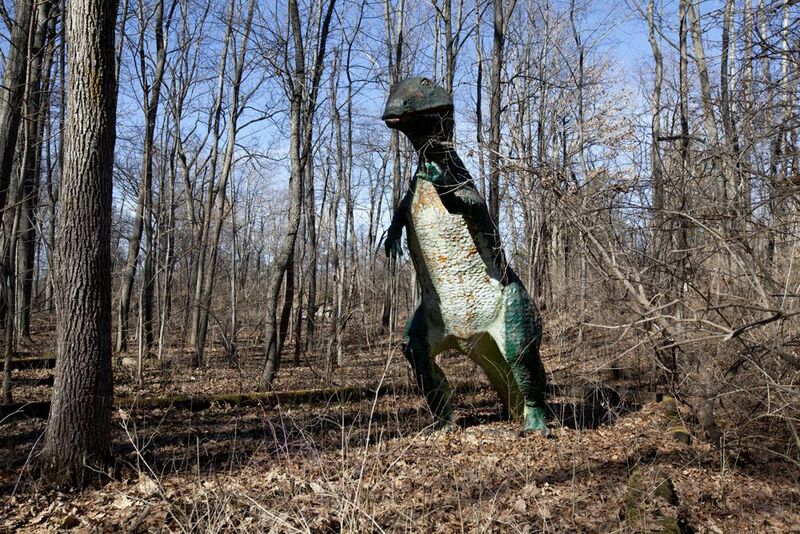 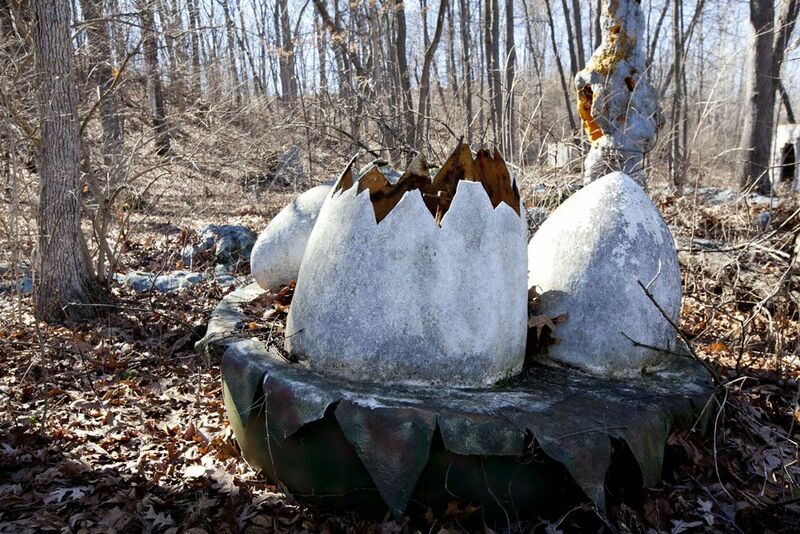 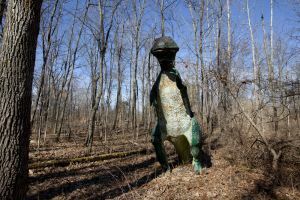 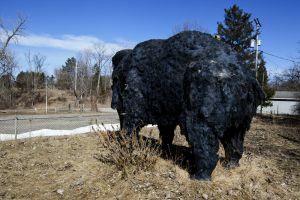 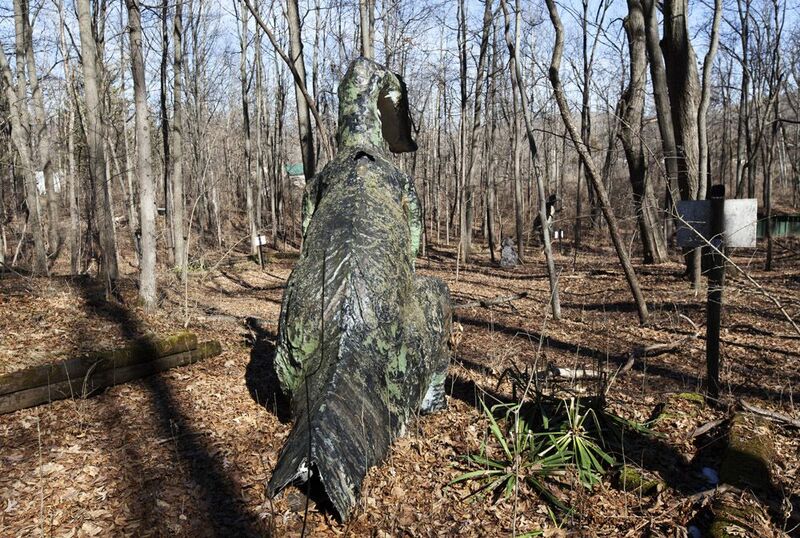 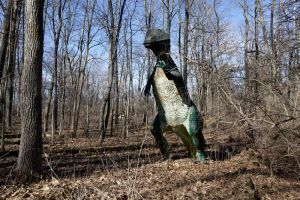 Now, it’s long-forgotten fiber-glass statues stand eerily still among the ever-growing forest around them.